The Columbia College Foundation is pleased to announce an exciting new scholarship opportunity for local high school seniors enrolling at Columbia College beginning in fall 2018. This new program, the Columbia College Promise Scholarship, will make it possible for every qualified local public high school graduate to attend Columbia College fulltime, tuition free, for two consecutive semesters if they enroll immediately after graduation. The program will be a three year pilot, funded by gifts from individuals and community partners who care deeply about education for our local youth. The Promise Scholarship program will remove the tuition barrier that often stops promising young high school graduates from pursuing their education while connecting them to support services to help ensure success. Once implemented, the program will increase the number of local high school graduates who attend Columbia College, thereby boosting the population of workforce-ready young adults who complete a degree, certificate or training program, or successfully transfer to a 4-year college. Schools included in the program are: Sonora Union High School District, Summerville Union High School District (including Connections Academy and Gold Rush Charter School), Big Oak Flat-Groveland Unified School District, Tuolumne County Superintendent of Schools Alternative Education and Bret Harte High School in Calaveras County. Be a 2018 graduate from a public Tuolumne County high school or Bret Harte High School in Calaveras County. Graduates in 2019 and 2020 will be eligible in the fall semester immediately after they graduate. Reside within the boundaries of the Yosemite Community College District. Apply for FAFSA (Free Application for Federal Student Aid) prior to completing the Promise Scholarship application. Enroll at Columbia College for Fall 2018 as a full time student carrying at least 12 units. Additional information will be posted on the Columbia College website and Facebook pages, and will be available to families in fall 2017, through their school counselors. Contributions for the Promise Scholarship program and other Foundation projects are always welcome. To join the effort or learn more, contact Amy Nilson, Director of Development at Columbia College at (209) 588-5055 or nilsona@yosemite.edu or visit www.gocolumbia.edu/foundation. Columbia College Foundation, founded in 1972, is a nonprofit organization that promotes quality higher education that enriches the academic, economic, and cultural life of our community. The mission is to promote student success by providing community resources that support and expand educational opportunities for Columbia College students. 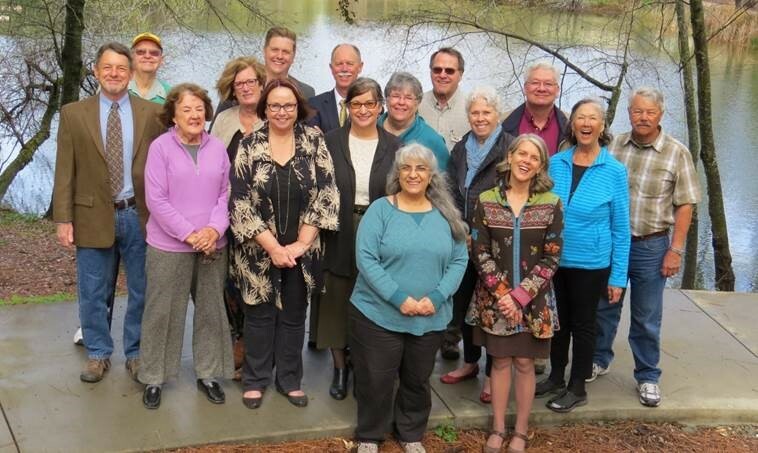 Columbia College Foundation Board of Directors (from left) Front row: Rosetta Bannwarth, Margie Bulkin. Middle row: Louise Goicoechea, Colette Such, Lee Ann Fox, Jan Verhage, Judy Myers, Janice Nelson. Back row: Jim Roeber, Bill Dunlavy, Stephanie Suess, Kenan McDonald, John Freer, Jeff Phillips, Charles Segerstrom, Del Hodges. This entry was posted in Campus News on May 22, 2017 by Cari Craven. Columbia College has named 184 students to the spring 2017 semester President’s List. We are pleased to officially recognize their exceptional scholastic achievement. Columbia College spring 2017 President’s List students are listed below by city. This entry was posted in Campus News on May 15, 2017 by Cari Craven.